Singer, songwriter and producer B. Howard has been working behind the scenes for the past few years, contributing to hit singles for some of the industry's top artists and teasing fans with promises of his own music, his new direction, and new sound. The single is the lead-in to Howard’s long-awaited album Loud, which is slated for full release this summer. Howard, who divides his time between Los Angeles and Miami, says the new Loud album reflects his maturity as a music artist. "With the songs on Loud I really explored my full range as an artist, from R&B and dance, to ballads. The first single is a cover that's really dear to me, but the album mostly offers original songs that represent my evolution as a songwriter and singer," according to Howard. "The compilation was a long-time in the making, but I think that my listeners here and abroad will understand and appreciate the wait." Night and Day marks Howard’s first worldwide solo release in more than two years, and the latest offering from an artist who has contributed to the careers of some of music’s hottest-selling artists. The son of R&B singer Miki Howard and a Jackson Family protégé, Howard is a multi-platinum producer who has spent the past few years producing and writing songs for Ne-Yo, Jason Derulo, Vanessa Hudgens, Miguel, Akon, Teddy Riley and Rich White Ladies. Although a superstar vocalist in Europe and Asia, Howard has waited patiently to hit the air waves in the U.S. with his own music, performed by his own vocals. The one exception was his hit single Don’t Say You Love Me, which reached Number 11 on Billboard’s top dance charts in 2015. And, his beautiful holiday song Christmas Time, which he released via social media in December 2017. Howard is also testing his acting chops by appearing as Michael Jackson in the Lifetime movie A Tale of Two Coreys. The movie, which premieres in January, covers the glitzy lives and tragedies of the 1980s-90s teen heartthrobs Corey Feldman and the late Corey Haim. The movie can be streamed now on http://www.mylifetime.com. 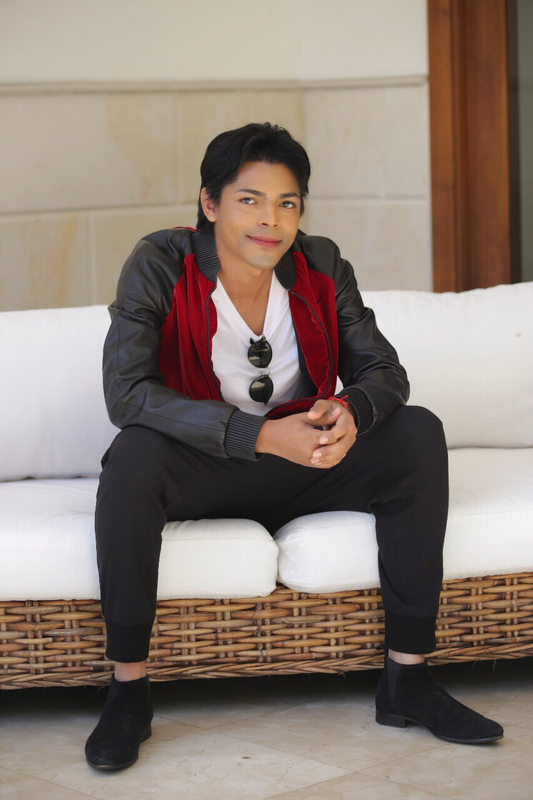 More information on B. Howard is available at http://www.bhowardofficial.com.